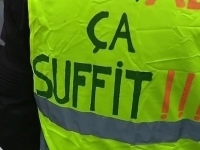 USPA NEWS - THE ORIGIN OF THE FRONT OF YELLOW VESTS WAS A PETITION SIGNED BY MORE THAN 1 MILLION The movement of yellow vests - the name of the high visibility vests of the Highway Code, yellow worn by protesters - is an unstructured protest movement that has appeared since mid-November 2018 in France, in France. most departments. It has spread to a smaller extent in Belgium. 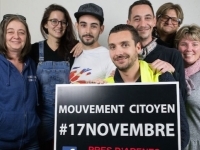 This movement is considered Presented by the media as spontaneous and apolitical, it is organized around a first national event on November 17, 2018, then extensions. Initially the movement was essentially centered on the rise in the price of motor fuel because in response to the signature of thousands of protesters, via the petition exchange.org, launched by Prisicillia Ludoski. (itself partly linked to the increase in the tax on petroleum products). Then, the dispute quickly widens to other demands, on the purchasing power of the middle and popular classes, especially rural and peri-urban, or the resignation of the President of the French Republic, Emmanuel Macron. Like a jacquerie, this mobilization has its origin in the diffusion on social networks of calls from citizens to demonstrate. THE MOVEMENT IS GETING HIGH ATTENTION BY THE POLITICAL CLASS------------------------------------------------ The movement attracts the attention of the political class. 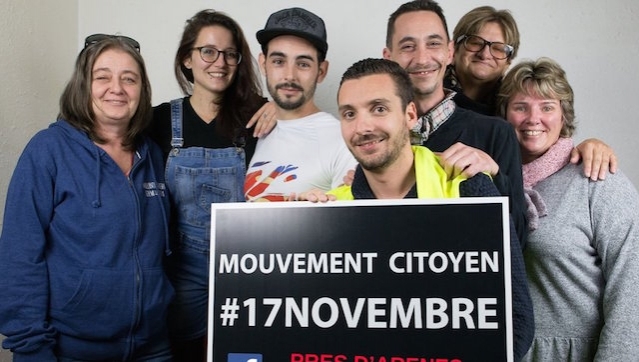 The movement is openly supported by several leaders of opposition political parties (including RN's Marine Le Pen ldeader, Jean-Luc Mélenchon Ldeader of LFI, Laurent Wauquiez Leader of the Rep and Jean Lassalle, MP who wore a yellow vest at the meeting. the National Assembly by protest gesture). The originality of the movement is the lack of spokespersons, and lack of hirerachie, given the spontaneity of the movement. This complicates the dialogue with the representatives of the government and in particular Prime Minister Edouard Philippe who "reached out" to the Yellow Vests for dialogue. 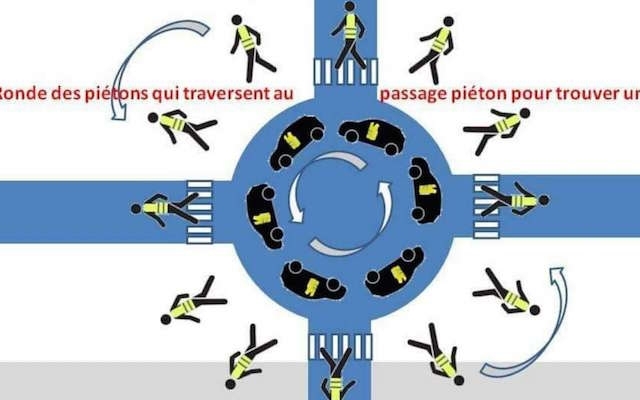 Indeed, the "eight door words" senses meet the Prime Minister aujoudrhui have refused to go to this appointment, because they have according to one of them Eric Drouet "We have received threats from other Vests Yellow and that's why we could not argue on behalf of the Yellow Vests movement. " 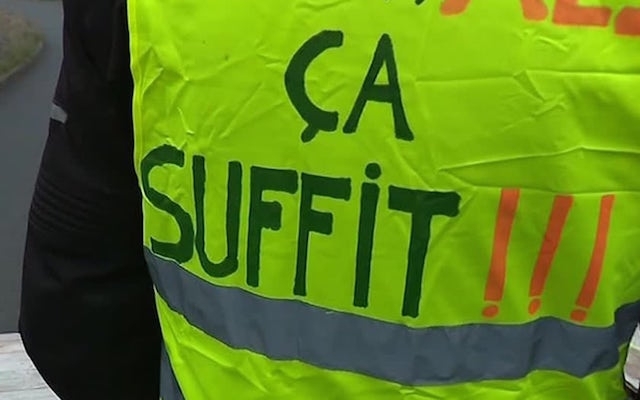 In default two representatives of Yellow Vests, Jason Herbert who stayed 10 minutes in Matignon then very quickly came out, regretting that the meeting is not filmed and broadcast live. and then another "anonymous", which today had an hour-long closed discussion with Prime Minister Edouard Philippe, deemed "useful" and "interesting". "This exchange took place, with fewer representatives than I expected, but it took place, and I think it was important that it take place," he added, on the eve of the third day of national demonstration of the movement, which denounces in particular the tax injustice. Jason Herbert, meanwhile expressed to the press: "I wanted and I asked several times that this interview is filmed and broadcast live on television. This was denied, said Jason Herbert. I wanted the French to hear what he was saying. A young 26-year-old Charentais, he was one of eight spokespersons for the "yellow vests" that were disapproved of by some of the movement. "Today we are only two, we have all received enormous pressure. 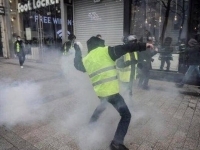 I'm talking about threats of aggression, verbal or physical, our life is at stake, "said Herbert, adding that these pressures" were 99% from other "yellow vests" (...) not peaceful people, radical people. " ACT III OF NEW BLOCAGE OF YELLOW VESTS ON 1ST DECEMBER - CHAMPS ELYSEES ONLY FOR PEDESTRIANS---------------------------------------------------------------------------------------------------------------------------------- During the mobilization day of December 1st, what are the blockages provided by the yellow vests in Paris and on the roads of France? Follow our live on the blockages set up and the actions carried out by the yellow vests. Yellow vests, act III. Saturday, December 1, the yellow vests are gathering for a new big day of mobilization. A new demonstration is planned in Paris, on the Champs-Elysees, closed to traffic, but open to pedestrians, for yellow vests, with systematic excavations and a security device to reinforce to avoid any overflow. 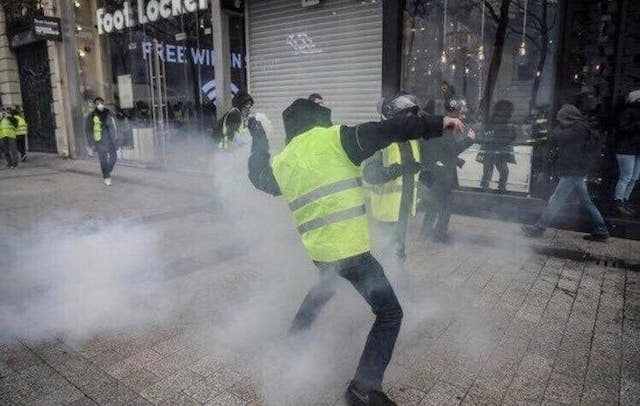 In addition to the demonstration in Paris, the yellow vests will organize blockages throughout France on Saturday, December 1st. Some have held all round the roundabouts, tolls, even strategic locations such as logistics warehouses or fuel depots. Sometimes dislodged by the CRS, the yellow vests seem to never want to stop their movement. Yellow jackets sometimes even attack tax centers and sub-prefectures!